Zweber Farm was purchased by John J. Zweber in 1906. This century old farm is nestled in the hills of Elko/New Market. Many types of livestock and crops have been grown on the farm and it is even rumored that moonshine was once hidden under the chicken house. Today the farm is owned by Jon Zweber (John J’s grandson) and his son Tim. Jon and his wife Lisa, have four children. Tim who is married to Emily and has three children of his own, Erik, Jonathan and Hannah. The other children in the family are Sarah, Steven and Samantha. The Zweber Farm is a family effort. Organic dairy is our main business. 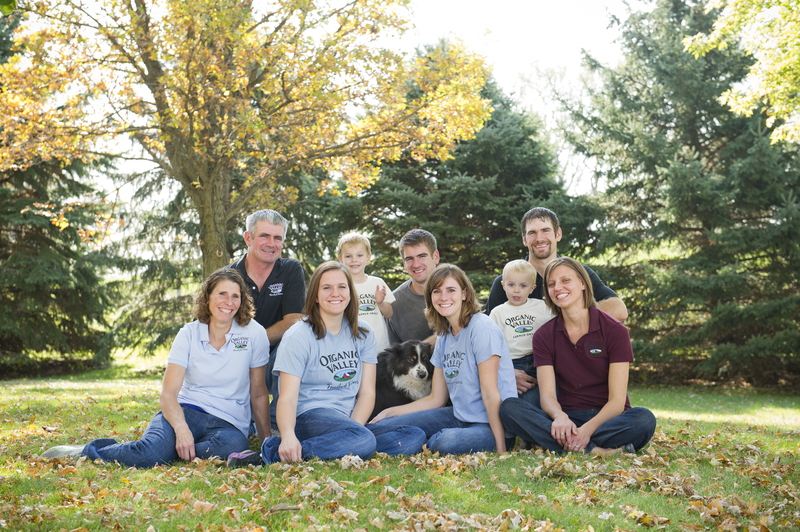 We are Organic Valley farmer owners and sell our milk under that label. In addition to the dairy, we sell sustainably raised chicken, pork and beef directly to customers. Our animals are raised in a humane way that allows them to live healthy lives. Visit our website: www.zweberfarms.com to learn more. We hope that you visit our site often to learn about what is happening on the farm. Learning about how your food is raised is the first step to leading a healthy life. Don’t miss any of our posts by subscribing to our email notices or having our posts delivered directly to your RSS Feed reader. Thank you for supporting our family farm and our tradition of raising healthy sustainable food for your family. Hello, My husband and I love your blog. It’s interesting to read about life on a farm, especially a local one. He ran across your listing/site through Minnesota Grown. Last year I developed some severe food sensitivities that left me quite debilitated. Realizing it was the food causing my pain, I began to eliminate all processed foods and suspect ingredients. My body quickly regained health and strength. We would love to hear back from you, we’ve already contacted Lorentz Meats with questions and received those answers. We may have 3 other families interested in joining us with a meat purchase from you. I look forward to hearing from you and reading more! It’s been great to have found your blog. I’ve added it to my blog list and have enjoyed your comments. I hope to talk to you again at a future FB event. I’ve been blogging at Minnesotafarm for the past few months and have been pleased at the reception. Keep on with your message.